A responsive website will recognize the type of device you are on and adapt its size, scale and features accordingly. It can add, change or even delete features based on the capabilities of the device. This not only makes for an improved user experience but it eliminates the need to maintain and update multiple websites saving time for webmasters and marketers. You can also expect to lower your bounce rate and increase the time users spend on your site. The major search engines have made it clear that they prefer you maintain one URL, so responsive design is now the best practice for SEO as well. The initial development time for a responsive site is greater but that’s investment that’s should pay off over time. While it may or may not be worth the effort of updating existing sites to make them responsive, if you’re developing a new website it’s most definitely the way to go. Vin is the Digital Marketing Director for WSI Online Solutions. He has over 15 years of experience in Digital Marketing and is both a Direct Marketing Association and Google Adwords certified search engine marketer. Vin is a graduate of Colgate University with a Degree in English. Prior to starting his career in Digital Marketing, Vin worked in Film and Television and as a journalist in his native New York City where he still resides. He travels frequently to South Florida and throughout the country to consult with businesses and organizations on how they can benefit from Digital Marketing. 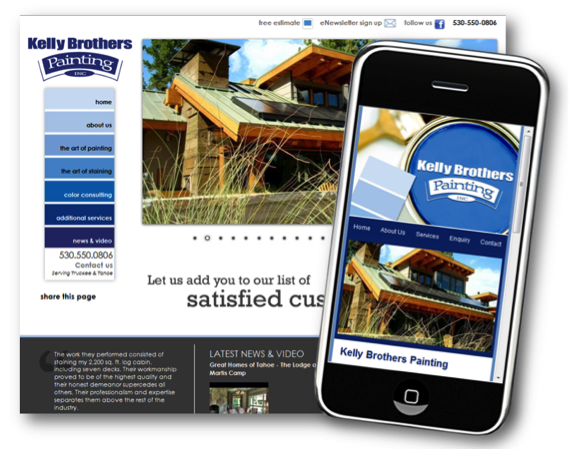 Over the next few years mobile enabled websites will be as popular as, well… websites. 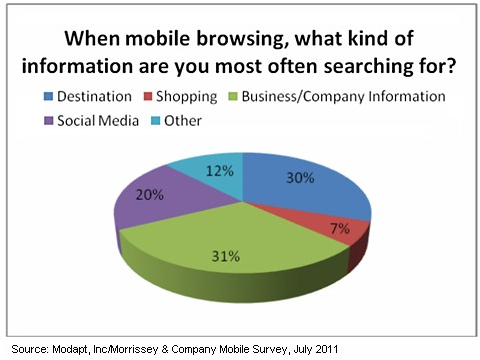 Currently about 1 in every 7 searches on the Internet are from a mobile device such as a Smartphone or iPad. By 2013 there will be more searches from mobile devices than from desktop devices. In fact 25% of Internet users around the world are “mobile only” right now, yet few websites are mobile enabled. This is temporarily a huge advantage for mobile savvy businesses. It’s temporary because over the next couple of years all serious businesses will be mobile enabled. What is now an advantage will become mandatory. So for now, why is there an advantage? Search engines try to give the best user experience to their customers. Their customers are people like you and me who are searching for, well…whatever we are searching for. Search engines can detect the specific device the search is being conducted from, and are giving preference to mobile enabled websites over their non-mobile counterparts in the search results when searched from a mobile device. The consumer of course is not going to dedicate much time to viewing miniature versions of full websites. They have no patience to make the text bigger and move it around the screen so they can read everything. They are not going to spend much time squinting at little buttons that are smaller than their fingertips as they try to zero in on them to navigate to the next page of tiny text and miniature graphics. Mobile consumers are looking for different information and a different experience than their desktop counterparts. Just when you thought you got this website conversion thing just right, technology makes another adjustment to human behavior. Traditionally you want to lead your visitors down a “path” or a “sales funnel”. You want to control their experience, but make sure that any information that they may possible want is available on the site. This is true for mobile visitors as well, the difference is the information mobile searchers want is typically a lot less, and very specific. Understand the mobile user may be on-the-go looking for directions, or knee deep in water looking for a plumber. Understand your customer, and give them EXACTLY what they are looking for… no more…no less. 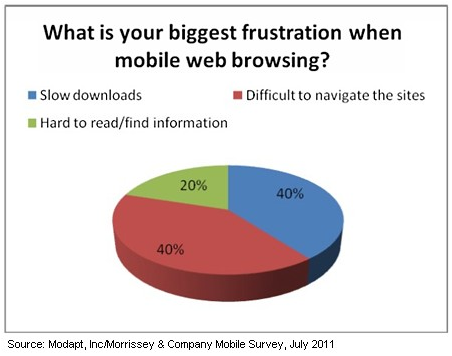 The most sought after information mobile users look for? Company information, Destination information and Social Media. OK, now that you understand why mobile website development is so important, and what consumers are looking for, you might want to look into creating a mobile friendly version of your company website. Depending on the complexity of the design and how basic the functions are (and they should be basic) you can generally have a custom mobile site retrofitted to your existing site for $500-$1000.